My only regret about this book is that it isn't longer! The plants are organized by season, and every plant has a small map to show what regions it grows in. There is a very nice, good sized picture of each plant, and most of them are in color. Information is also provided about harvesting, how to prepare the plant, and poisonous look alikes, if any. The plants are listed by their common names, but the latin names are listed as well. Plants can be located by either name in the index. 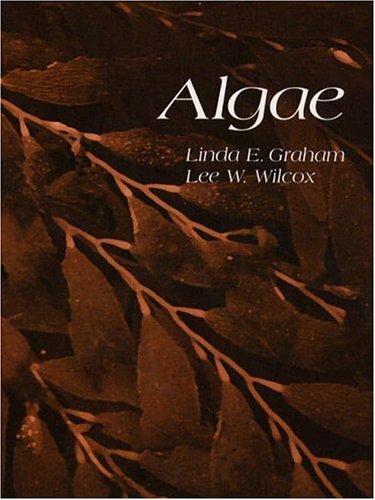 If you are interested in edible wild plants, this book is a great value for a reasonable price. This is a book that all who play outdoors ought to have. I bought this book to use to gather wild plants for making homemade wines, but now it's a companion whenever I go hiking, fishing, camping, or merely sightseeing. It's that valuable! The book is divided into an introductory section, guides to harvesting plants in each of the four seasons, the plants themselves (also presented seasonally), poisonous plants, a nutritional guide, and two great indices. The introduction includes great tips on how to prepare wild foods as drinks, snacks, entres, and condiments, along with recipes for 25 jellies, 20 jams and 17 fruit and berry pies. But the good part is yet to come. Each plant is presented with a good-to-excellent photograph, a distribution map (so a person in the Pacific Northwest doesn't have to wonder whether he or she is looking at a squashberry or a hobblebush berry), a complete description, identification of the edible parts, harvest and preparation notes, related species, and poisonous look-alikes (if any). The presentations are just excellent. My only complaint is that the book isn't twice as thick. Whether you just want to be prepared for emergencies or you want to collect wild edibles for making jams, jellies, pies, and wine, this book is one of the only two you'll probably need. The other is a good regional guide, because with over 20,000 species of plants to choose from north of the Rio Grande alone, a guide to regional edibles is a must. 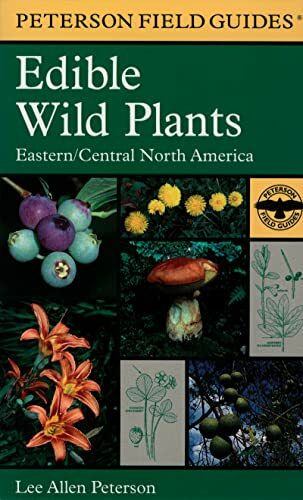 This books shows, in an easy to understand format-in my opinion-a person how to identify wild edible plants that they can harvest (some even in their own backyard). It shows photos of the plants, tells you if there is a poisonous look alike plant, how to identify them, common locations of the plants, and how to prepare them for a meal. 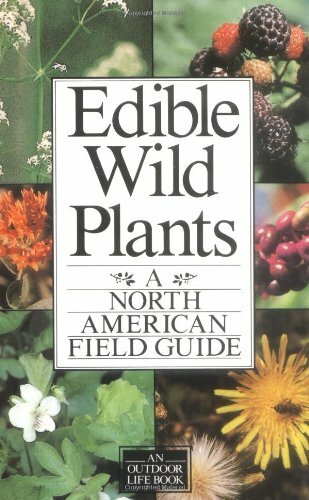 If someone wants to learn more about eating plants that grow in the wild, this book is the one I think should be in their library. Identification of edible species is what I want, with emphasis on the first word. From my experience in identifying tree species and other plant ID handbooks, I'd call this one mediocre. The photos are often close-ups with no indication of scale, so size is unknown. Details are not included. Root structure and overall plant structure are seldom shown. ID often depends on flowers, present only for a few weeks of the year. Variation among species is so widespread that I'd recommend at least two good books, with better illustrations than those found here. Drawings, though not "natural", often provide better clues to identity by showing roots, structure, etc. Co-written by the author of the award-winning The Tropical Look, An Encyclopedia of Cultivated Palms offers a definitive account of palms that may be grown in the garden and landscape. 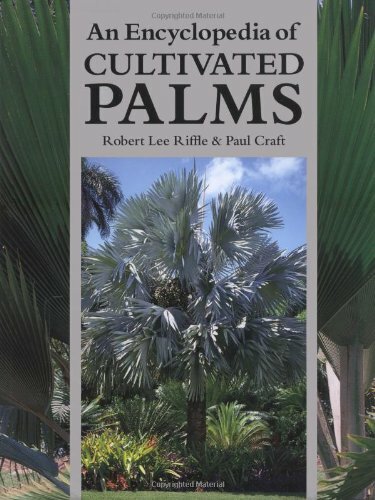 Because palms are often underutilized as a result of their unfamiliarity---even to tropical gardeners---Robert Lee Riffle and Paul Craft have exhaustively documented every genus in the palm family. Approximately 890 species are described in detail, including cold hardiness, water needs, height, and any special requirements. No gardener or landscaper who reads this book should ever again lose a palm solely because of lack of horticultural information. Generously illustrated with more than 900 photos, An Encyclopedia of Cultivated Palms is as valuable as an identification guide as it is a practical handbook. The volume even contains photos of several palm species that have never before appeared in a general encyclopedia. 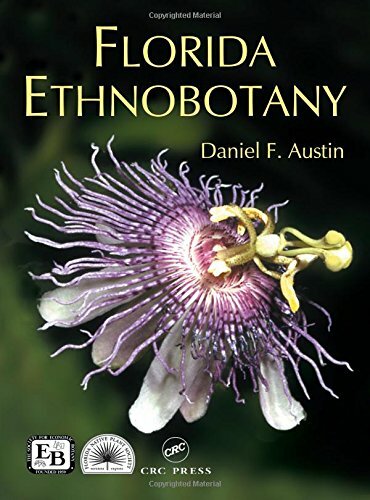 Interesting snippets of history, ethnobotany, and biology inform the text and make this a lively catalog of these remarkable plants. As well as all of the tropical and subtropical palms, the encyclopedia includes many species that can withstand freezing; thus it is applicable for areas where average low temperatures do not drop below 5ºF (-15ºC). A nice addition to the various encyclopedias on cultivated palm trees. The authors went to a lot of trouble photographing the many species illustrated as well as the undertaking to provide information on each species but not perfect considering the magnitude of the task. If you are a collector of palms or enjoy palm trees this book is a must in your library. I use this volume as a reference regularly and could not imagine my library without it. Also a nice companion to Betrocks Cultivated Palms of the World. This is truly a great book for palm enthusiasts. It has detailed descriptions and photos of most, if not all, of the palm species currently cultivated in the U. S., Australia and Europe and is an invaluable reference for the palm-growing hobbyist. 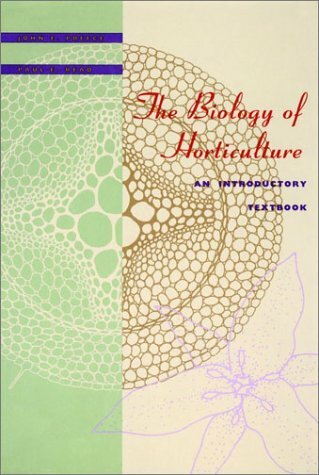 It is not intended to be a "how to" book and shouldn't be criticized because for not discussing planting techniques, fertilization, diseases, etc. I've bought four copies: one for myself and three for gifts. This book is simply the most comprehensive, practical reference to palms in cultivation. No detail has been left out for hardiness, landscape use, and horticultural needs. Most photos are excellent, but many were taken of rare species in the field and are not meant to be coffee table gorgeous--you won't find photos of these species in other books. 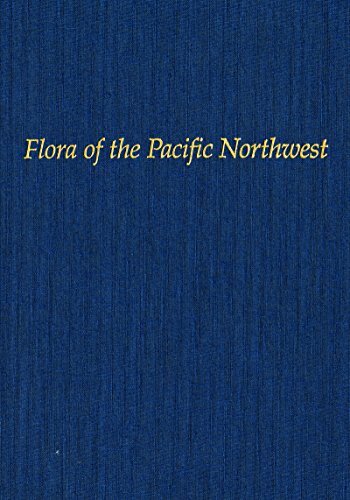 We can grow a surprising array of palms here in the Northwest, and this book is just as useful to me as it would be on the Gulf Coast. This book also has the invlvement of the International Palm Society vice president, so it comes with the stamp of authority. This is one of the most complete reference guides for anyone who has ever wondered about palm trees. The scientific treatment of the subject is kept to a minimum while the use of palms in the landscape is emphasized. Here the enthusiasm of the authors shines through. The numerous color photographs underscore the point that nearly any landscape need can be satisfied with thoughtful use of palms. The photographs are snapshot rendered, but in my opinion, any lapse of quality which results is more than compensated by the adequacy of detail. Though the authors provide notes on seed germination, they avoid a more thorough discussion of propagation. The authors generously supply hints on cultivation of many species covered in the book, but they do not discuss diseases which afflict growing specimens. There is no doubt that the book is worth the price paid. this book is not beautiful. The pictures are poorly taken: they are snap shots that make the palms themselves look like giant weeds. And the pictures are not large - there are 4 or more on every page. The printing quality is poor to average - the printer was just going through the motions when producing this book. Contains excellent illustrations. The terminology and abbreviations may be confusing to some. Needs to be updated as some of the family nomenclature has been changed. I wouldn't recommend this for the average "what's this plant" person. EXCELLENT first-book to reach for when needing proper scientific terminology. Does include some common names in the descriptions. Extremely detailed and uses extensive abbreviations. I used this book in Univ. ofIdaho botany classes in the 1980's and still use it in my daily job now(year 2000). However, it does indeed need to be updated for currentterminology and names, including lower-case spellings. This botany key is used by University of Idaho's botany classes. It is still "the" book reached for by the professional in the work force. Afterall, what else is there that is so comprehensive? However, itis in need of revision due to changes in genus and specie names since itsfifth printing of 1981. Respected key for Pacific Northwest flora. Praised by The New York Times as "an indispensable guide for the homeowner and the professional," Tree Maintenance has been the definitive source on maintenance of North American landscape trees for over fifty years, an essential reference not only for arborists, nurserymen, and landscape architects, but for all homeowners who want to keep their trees healthy and pest free. The Seventh Edition, now named in honor of Dr. P. P. Pirone, who authored the first five editions and co-authored the sixth, has been revised to reflect the enormous amount of new information available since the last edition, including the latest techniques in selecting, planting, and protecting trees. The authors explain how to evaluate the site (the soil, drainage, and exposure), how to select the right tree for that location, and how to prune, fertilize, and spray for pests. There is an extensive section on the diagnosis and control of tree pests and diseases, and on problems such as construction damage, gas injury, sunscald, leaf scorch, and air pollution. 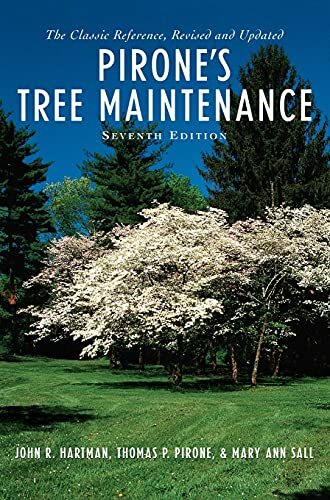 While the general structure of the sixth edition has been retained, there are several topics--notably hazardous trees and coping with tree pests and diseases--that have received greater attention than in previous versions of the book. The second half of the book comprises a systematic listing of the major landscape trees found in North America, describing the specific pests and diseases that attack each species. If you're like me and you enjoy trying to eat leaves and berries that you find while hiking and wandering about in nature, this is a handy book to own. The Peterson who wrote this book (son of the Peterson of the many, many wildlife guidebooks writer) is also a forest forrager and details some other cool books to own in the Introduction (including Stalking Wild Asparagus..excellent). I searched for a while to find a guide that would not only easily ID edible berries, roots and leaves..but also give recipe-like tips on how to prepare said roots and leaves..and they do here. Who knew, for example, that one could make a cool and refreshing beverage from staghorn sumac? Crafty! Guide is sub-divided into several search methods: color, plant-type (berry, leaf) and includes many color plates along with ink drawings to help to be sure that Amanita spp. mushroom you're eating won't cause you trouble later! And, the final great feature of the Peterson guides is that the front and back covers are tough so that you can make your copy go camping with you over many moons and you won't wear out your book. Nice! This book contains descriptions and uses of hundreds of useful plants and is probably the most imporant book to have in your edible plant book collection. It also gives fair warning when some evidence suggests possible risks. Despite these points, there are some things that make it hard to use. First, because they are trying to cram in as many plants as possible, they don't give enough attention to many plants that deserve it and give very breif descriptions, although they do point out some of the main identifying features. Second, the pictures, at least for the first half of the book, are simply recycled from the Peterson Guide to Wildflowers, which means that they often leave out important parts that you really need to see. Third, the book is organized for the most part so that you can't find a plant unless you know the color of the flower, which makes it really difficult to recognize plants unless you find them during the period they flower, which is usually pretty short. And did anyone notice that they switched the pictures of Nodding Wild Onion and Field Garlic on page 115? Of course, the descriptions and drawings are better than most books on the subject, and it does have many useful features, so this book is definately worth having. The only difference being the front cover has been updated. This has a lot of very good line drawings and some photos. The information in it is very good. But, I would suggest that people cross reference the plants they find with another field book before eating something. The descriptions in the book are short, the emphasis is on the use of the plant and were you may find them. Remeber with out looking closely an untrained eye may mistake water hemlock (deadly) with water parsnip, cow parsnip, angelica, or wild raison at a quick glance. And that could be unfortunate to say the least. Other then that warning though I enjoyed this book and have had it a long time. It tends to be one of the books I carry with me when I go hiking and looking for plants and birds. This book is very well written. it contains over 400 drawings and 78 color photos, to help in the identification of the mentioned plants. Each entry contains information on habitat, when they flower, a description and the uses. Also conatins any applicable warnings. The line drawings are very accurate and are more than enough, when coupled with the descriptions, to be able to identify just about any plant. But if you have any doubts, check the color photos. Also, at the back of the book, it contains the various types of plants divided up into habitat, and then each habitat divided into what plants can be harvested there during various seasons. 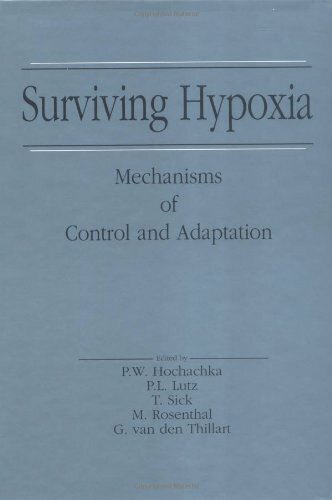 This book is a great resource for any survivalist's bookshelf. I'm an amateur naturalist -- and had the plants of the Eastern US pretty well under control. All that went out the window when I moved to Nicaragua. This is the first broad, clear, complete guide to neo-tropical woody plants (and lots of the herbaceous plants as well) I've seen. Although it was written for Columbia, Ecuador, and Peru, it does well enough for Central America. Just leafing through the illustrations has given me the family, and often the genus, of lots of the plants I've seen in our cloud forests. The author has a very readable style, laced with an understated sense of humour that bubbles to the surface on several occasions. See the entry for Euphorbiaceae, for example. The book is not, however, for the complete beginner. Unless you are thoroughly familiar with the arcane botanical terminology, you will need a botanical dictionary. "Plant Identification Terminology" by Harris is a good one. 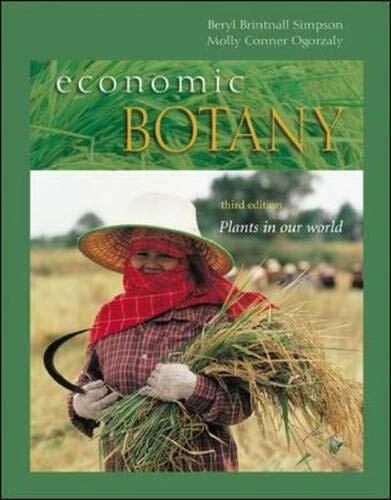 This book is a comprehensive introduction to the botany of economically important plants. Approximately half the book is devoted to food plants, with separate chapters for temperate fruits, tropical fruits, grains, legumes, and vegetables. In each of these chapters, a basic botanical description is provided for each major crop as well as snippets of information about this history or culture usage of the crop. The remainder of the book covers non-food uses of plants, with chapters devoted to spices, herbs, and perfumes; vegetable oils and waxes; hydrogels, latexes, and resins; medicinal plants; psychoactive drugs and poisons; stimulating beverages; alcoholic beverages; fibers, dyes, and tannins; wood, cork, and bamboo; ornamental plants; and economically important uses of algae. 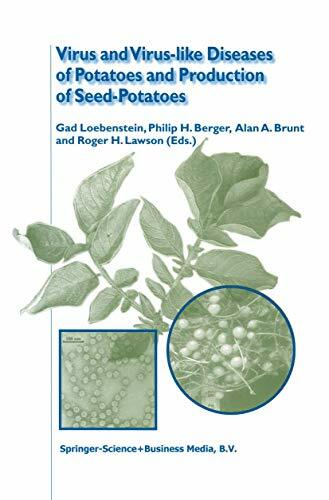 The text, especially in the later chapters, also explains how the plants are processed to form the finally product and includes numerous diagrams as well as pictures. The book includes suggested readings, a glossary, and an index, but it does not have study questions. The authors note that they saved money by not using any color photos, since they are so readily available on the Internet, but it would have been nice to point readers to specific sites to view such pictures if they so wished. Overall, the text is fairly complete, although there are a few omissions and sloppy errors. For example, I was quite puzzled over lack of coverage of the entire ribes family in the temperate fruits section. Perhaps currants and gooseberries aren't well known in the US today, but they were in the past, and they are certainly important in Europe. In the vegetable section, the authors note that spinach is a good source of folic acid and they suggest that "It may have been the folic acid . . . as well as the iron that helped give Popeye his energy." Unfortunately, they didn't critically examine spinach as a source of iron; it is well known today that many other vegetables have much more iron and that the iron in spinach is not as readily absorbable as that found in other vegetables. Such cursory treatment will ensure that readers who are not aware of the limited value of spinach as a source of iron will continue to be misinformed. Rather than treating such subjects so briefly, it would have been better to set the facts straight. In addition to these minor problems, there were a few strange typos that should have been caught, especially in a third edition, such as "Uzbeckistan", and mis-converting Celsius to Fahrenheit "Deciduous trees on the south and west sides . . . reduce temperatures as much as 5 C to 5.5 C (41 to 42 F) inside." Wow! Those are some trees! Aside from these small limitations, the book might be useful as a textbook for an undergraduate economic botany class. It might also be of interest to garden enthusiasts, although it's rather dry reading. From this modern and profusely illustrated book, the reader will learn not just the basics, which are amply reviewed, but also how plant anatomy is integrated with a wide variety of other disciplines, such as plant breeding, forensic analysis, medicine, food science, wood and fiber products, and the arts. 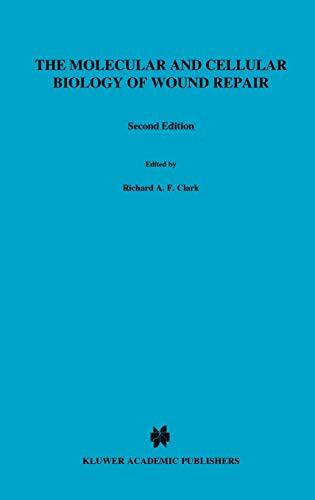 The author presents the basic concepts and terminology of plant anatomy with a special emphasis on its significance and applications to other disciplines, and addresses the central role of anatomy by consolidating previously scattered information into a single volume. 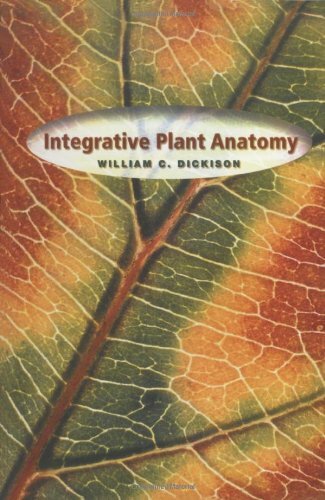 Integrative Plant Anatomy highlights the important contribution made by studying anatomy to the solutions of a number of present and future problems.It succeeds in integrating diverse areas of botany, as well as the non-biological sciences, the arts, and numerous other fields of human endeavor. Growing Perennials in Cold Climates is destined to be a landmark in gardening publishing.It is the first book ever of its kind for perennial gardeners. Beginning with the 50 best perennial groups to grow in cold climates, the book details both the good and the bad news about these plants in the most reader-friendly, easy-to-follow fashion in the history of gardening publishing.It includes easily accessible information on how to grow cold climate perennials, where to plant them, the different soil types, companion plants, and caring, pruning, and propagation.Fully illustrated throughout, this is the guide that gardeners living in colder climates have been waiting for. Delightful reading and gobs of information. A passionately written book. The information is detailed yet to the point and not boring or too scientific. A great book for the cold climate novice gardener or a reference for the master. The pictures are beautiful and plenty. The layout is clear, logical and well organized. The book's a real keeper. Great job. I've bought and borrowed numerous books regarding perennials. None has been so complete and well illustrated. Each plant species has varieties listed as well as planting, mulching, pruning, dividing techniques and advice. As an avid perennial gardener, I can't recommend this book highly enough. Kudos to the authors! 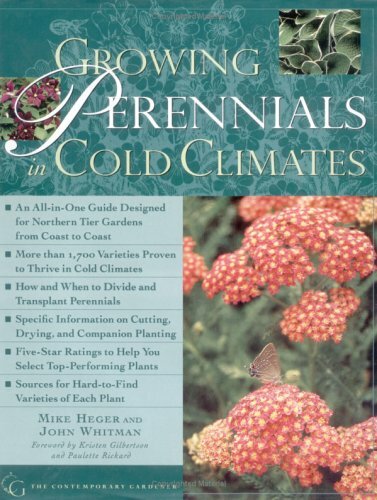 This book lets you know which perennials you can buy and grow in cold climates. It is a must for anyone in the Northern Areas of 20 degree's below 0 even in Canada. It shows the pictures of the flowers and where they will grow best for cold weather. It also shows you the best variety to buy and where you can order them, plant them and how to do it. It is a must for cold weather climates. While perhaps suitable for a beginning gardener, this book omits many useful and common species while including obscure cultivars that are virtually indistinguishable from one another. Important cultural facts are often missing or buried in the cookie-cutter approach to each species. This book has no index, the omission of which may point to hasty editing. More experienced gardeners should look at books written by Steven Still. Cacti have a very special fascination all their own. Like the brilliantly colored hummingbirds, the Cactaceae are creatures of the New World. Miniature spiny dwarf cacti less than an inch in diameter are hidden in the arid regions of North and South America; the majestic columns of the giant saguaro, Carnegiea gigantea, dominate the deserts of Arizona. Yet all these cacti, given time, offer the surprising paradox of brilliant flowers, their delicacy a striking contrast to the strong spines that keep the viewer at a respectful distance. More than likely, cacti were among the gifts that Christopher Columbus presented on his return from the New World to Isabella, queen of Castile. The first reports of cultivation of cacti in Europe date back to about 1570. Somewhat later, a single plant of Ariocarpus kotschoubeyanus, named after Otto von Kotzebue (1787-1846), the explorer, was sold immediately after its discovery to a nursery in Paris for a price many times exceeding the value of the plant's weight in gold. And the fascination continues -- cactus and succulent societies exist around the world. Despite the beauty and wonder of the cactus family, the last professional monograph of the plant was the 1919-1923 publication by Nathaniel Lord Britton and Joseph Nelson Rose. In this new book, Anderson covers the family Cactaceae in an encyclopedic manner, addressing 125 genera and 1811 species. Descriptions are short but information-packed, and the book includes 1022 color photos. The introduction to each genus concentrates on the discovery of the cacti and the improvements in our understanding of them, in many cases as a result of relatively recent investigation. 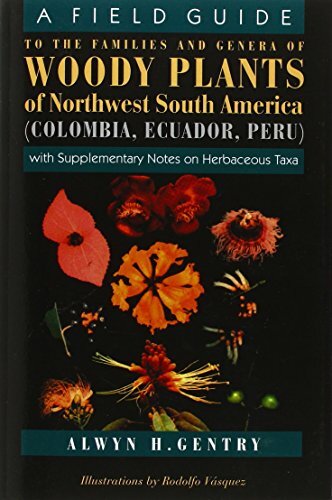 This makes the book a vivid case study of the science of plant taxonomy or plant systematics. Between 1919 and 1923, a landmark publication in four volumes, The Cactaceae, was published by the Carnegie Institution. It remains a landmark publication in the world's literature on cacti. Edward F. Anderson has produced a massive one volume encyclopedic work, which expands and extends the work of Carnegie Institution. This marvelous resource has been well worth waiting for as it is based on Anderson's forty-five years of research on cacti. The unique attributes of cacti are discussed in five chapters. Cacti occur naturally and are native to what is called "The New World." Only one species of native cacti is found in tropical Africa. In all other countries of the world where cacti are present, their existence is owed to the early explorers who carried cacti back to Europe on their ships and to birds that dispersed cactus seeds throughout the world. Cacti as food, both for humans and animals, is addressed along with the medicinal uses of cacti. Cacti have long been used for ceremonial and religious purposes by indigenous peoples of the New World and as a source of dyes, especially the beautiful red cochineal dye. A chapter on cacti cultivation has been contributed by Roger Brown. For those interested in growing cacti in their homes and gardens, Brown's advice on containers, potting and repotting, air circulation and ventilation, pests, pesticides, and propagation is a valuable bonus to this specialized encyclopedia. 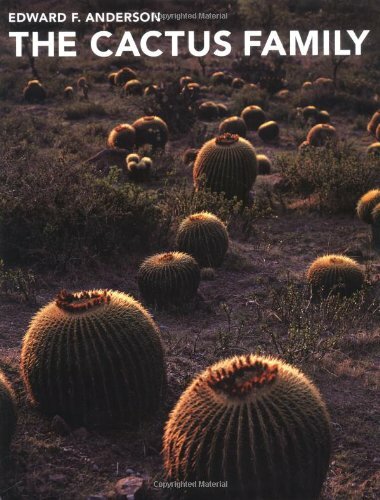 Pages 105 through 681 contain over 1,000 stunning color photographs (many photographed by Anderson), which are overwhelming in their portrayal of both the beauty and the idiosyncratic nature of cacti. Examples of the photographic artistry found within these glossy pages range from close-up snapshots of cactus flowers and large photographs of intriguing oddities. It will be difficult for cacti enthusiasts to wean themselves from this prodigious book, which weighs almost ten pounds. The appendices, glossary and indexes are superb. The eight-page double-column international bibliography is comprehensive, spanning over two centuries of research on cacti (the earliest citation is dated 1760 and the latest references are from 2001). This is truly a state-of-the-art source. This splendid work stands alone and at the top of its genre. Less than 50% of the described species has a photograph. Actual photos are small in size. No cultivation tips at all! Good for botanists, less for amateur cactus growers. WOW!!! Cactus lover's new bible. Fuggedaboutit! This recently published work is quite simply the greatest single volume treatment of the Cactus family. Although expensive, I believe you will treasure this book in much the same way that you treasure your cacti collection. A wealth of knowledge expressed in terms a non-scientist can understand, yet also greatly useful to the serious scholar. Please read the other reviews. Much enthusiasm. Dr Anderson - Where have you been all my Life? This is the ultimate book for any serious cactus collector and grower. Although at first glance it seems daunting in the extreme, a sudden epiphany of understanding dawns as one reads through the book. Written by a scientist and true enthusiast, this book is exhaustive in its desctriptions and naming of cacti, even to the point of honesty, when Dr Anderson explains that many families of cacti are less well understood than others. This book has many scientific and true botanical references in it, but unlike many authors who believe (wrongly) that the reader will possess the same knowledge, Dr Anderson explains all this in great detail at the beginning of the book, with all the nomenclatures the reader and enthusiast is going to be encountering in later chapters. The photographs are stunning and comprehensive, the various different habitat each plant grows in is described, and the very important issue of conservation of valuable species is tackled in a topical and masterful manner. The exact care of each and every plant is not displayed together with its photograph, but at the beginning of the book, and all other aspects of care, from soil, sterilisation of tools, pots, eradication of pests and so on, can also be found there. The very simple but concise drawings of the anatomy of the cactus flower in general are wonderfully understandable, and in the later photgraphic section, any doubts the grower may have about a particular cactus are dispelled by the flower description, from stem to size and colour. There is also a glossary of botanical terms at the end of the book, so there is never a section in the book where the reader is blinded by scientific jargon. I would recommend this book to any seriously interested collector of cacti - the definitive book, in my opinion. 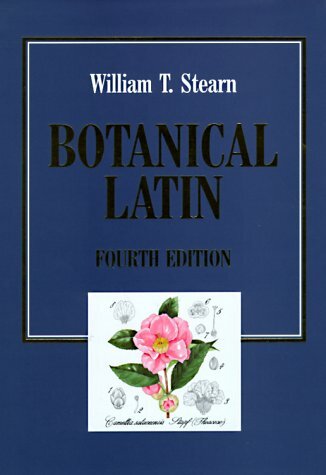 As the quote says: "This book aims to provide a working guide to the special kind of Latin internationally used by botanists for the description and naming of plants." As such it has little or no competition and by itself sets the standard in the field. Obviously it is not a dictionary, nor is it about plant names. For those wanting to look up current plants and their taxonomic status there is the invaluable "The plant-book" by D.J.Mabberley. For the derivation of botanical names there is "Stearn's dictionary of plant names for gardeners" by this same W.T.Stearn. Another very commendable dictionary (for a related field) is "Composition of Scientific Words" by R.W.Brown. A very scholarly and authoritative work to be admired by academics everywhere - almost useless as a quick means to look up what a botanical name means. If you were to take a semester or so studying this work, it would probably turn out to be very useful. For example, the chapters are broken down into Habitats, Geographical Names, Colour Terms, Greek words, Descriptive Terminology, Chemical Reactions and Tests, etc. So, if you happen to already know that sagittatus is a descriptive term, you can go to the chapter on Descriptive Terminology and find out that it means arrow-headed. If you don't already know this, good luck finding out what it means in this book. Book is suitable for use as a door stop but not much else. note the following example which is typical: "Hypanthium: hypanthium (s.n. H), abl. sing. hypanthio." The words hypanthium and hypanthio are not further defined. Want to see more examples? I seem to find them every time I try to use the book. For me Webester's has been more useful. 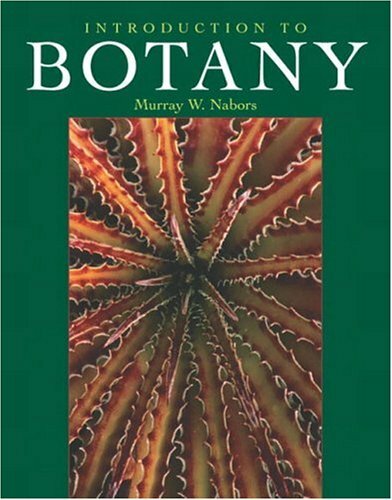 This book is probably on nearly every professional botanist's bookshelf, and is considered THE definitive reference for its subject. But it's also a great reference for anybody who is serious about plants and wants to know what their names mean and how they got them. This most certainly is a reference book and not light reading. Nonetheless "Botanical Latin" also includes many interesting little tidbits, such as the derivation of Linnaeus's name (Linnaeus was the original name, and not a Latinization of Linné, as often thought). There is much more in this book than just vocabulary and grammar. This book is by no means basic as the subtitle "an introductory textbook" states. 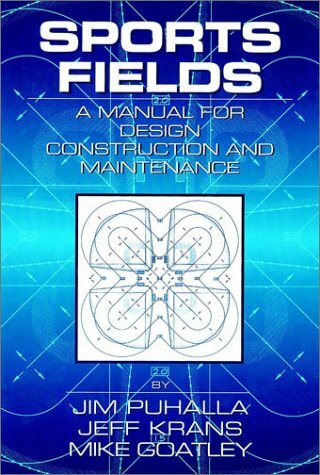 In fact, this is one of the most detailed, and comprehensive books available on the subject. 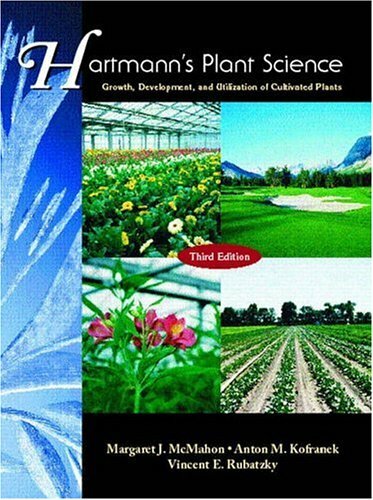 Covering everything from total plant anatomy all the way to pathology, nutrition, propagation, and beyond, it is an invaluable resource for any hort or botany student. Hobbyists will also find this book invaluably enlightening, as it can help them answer common questions such as why leaves on tomato plants are turning yellow.